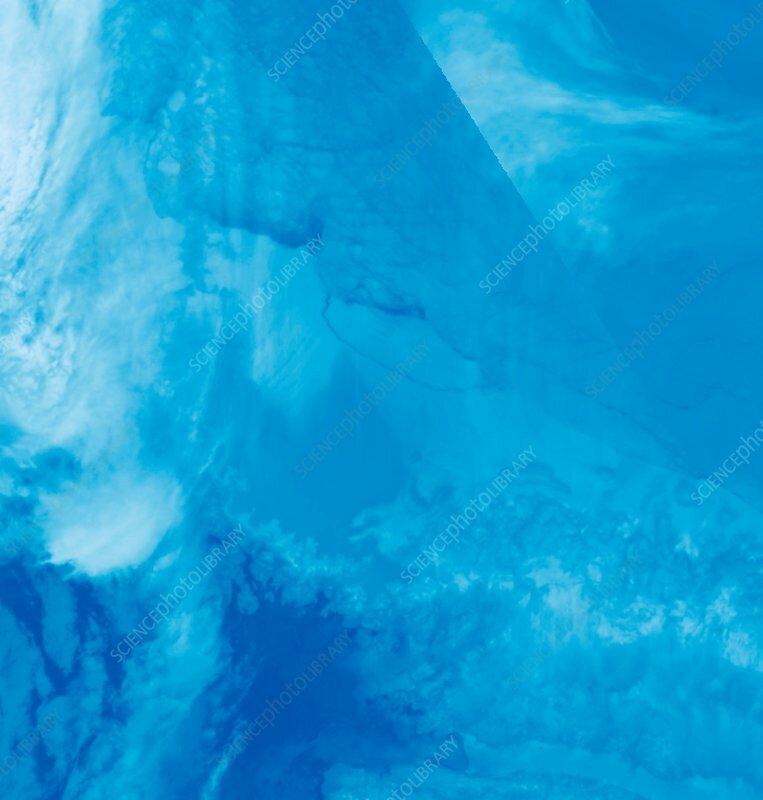 False-colour satellite image of the large iceberg (centre), known as A-68, that has broken off of the Larsen C ice shelf (bottom and left) in the Weddell Sea (top right), Antarctica. Shades of blue indicate relative warmth. Dark blue areas are the warmest, light blue the coolest. The iceberg has an area of around 6,000 square kilometres, more than 10 per cent of the area of the ice shelf. As ice shelves float, the calving of the iceberg will not lead to immediate changes in sea level. However, the presence of an ice shelf slows the seaward flow of glaciers and ice streams. Loss of part of the ice shelf could lead to increased flow that could raise sea levels. Image obtained by the Moderate Resolution Imaging Spectroradiometer (MODIS) on NASA's Aqua satellite, on 12 July 2017.